Our collections can be accessed by visiting the library or in certain cases through online services. The National Library is a humanities research library that purchases scholarly publications in several languages. 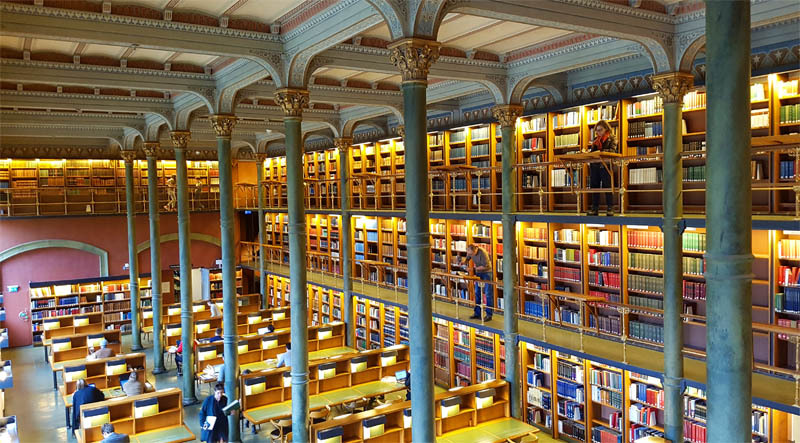 We coordinate services and programs for all publically funded libraries in Sweden and administer and develop Libris, the national library catalog system. The National Library of Sweden is a state agency. We are a staff of about 320 and our main offices are in Stockholm.